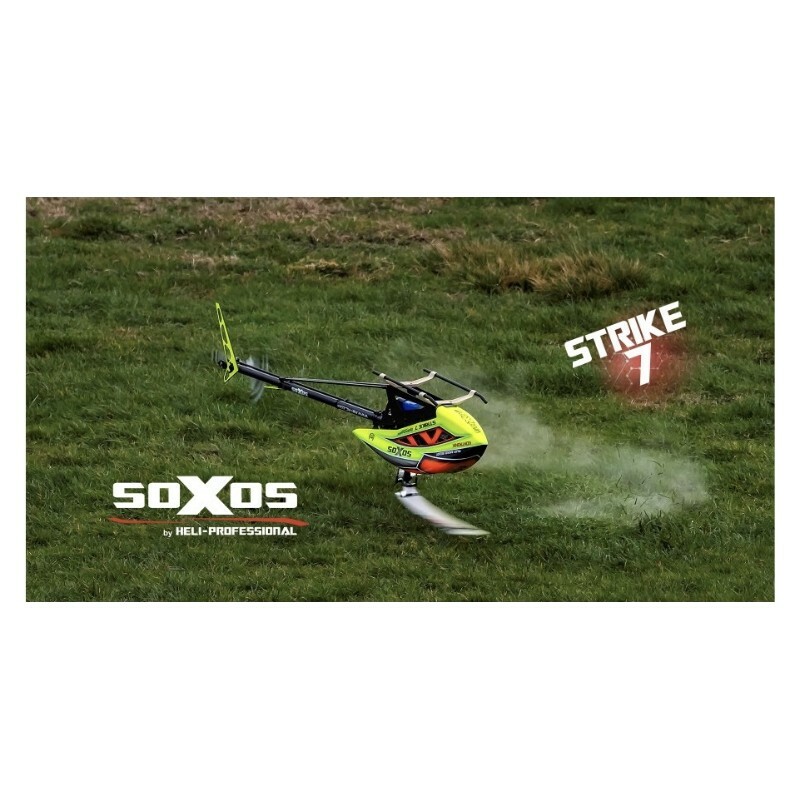 soXos Strike7, Allrounder of the 700 class! Available middle of May 2019! 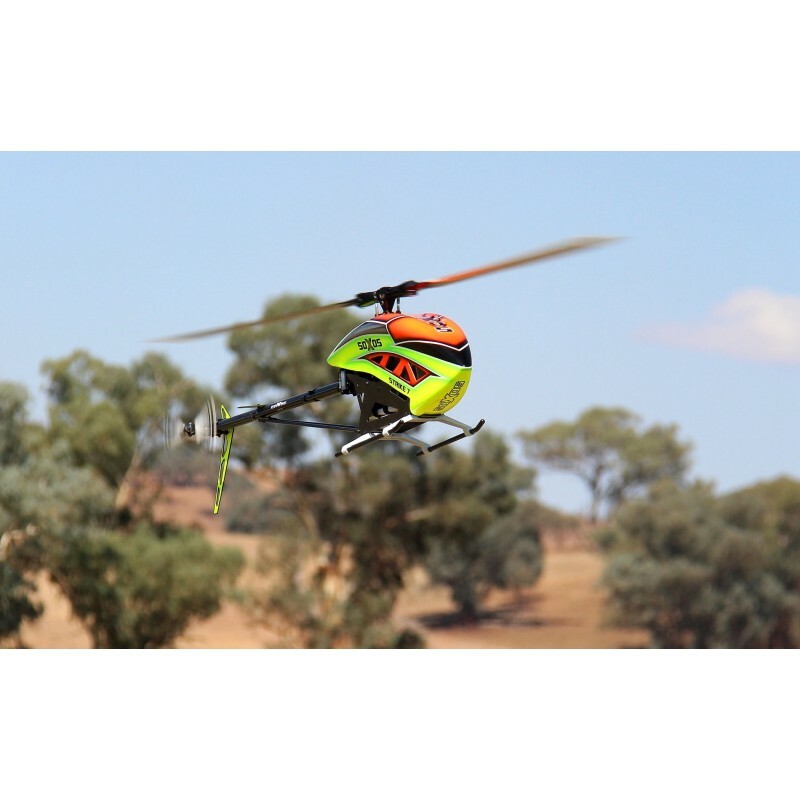 Because of the sophisticated design, the soXos Strike7 provides maximum strength and rigidity with a minimum take-off weight. 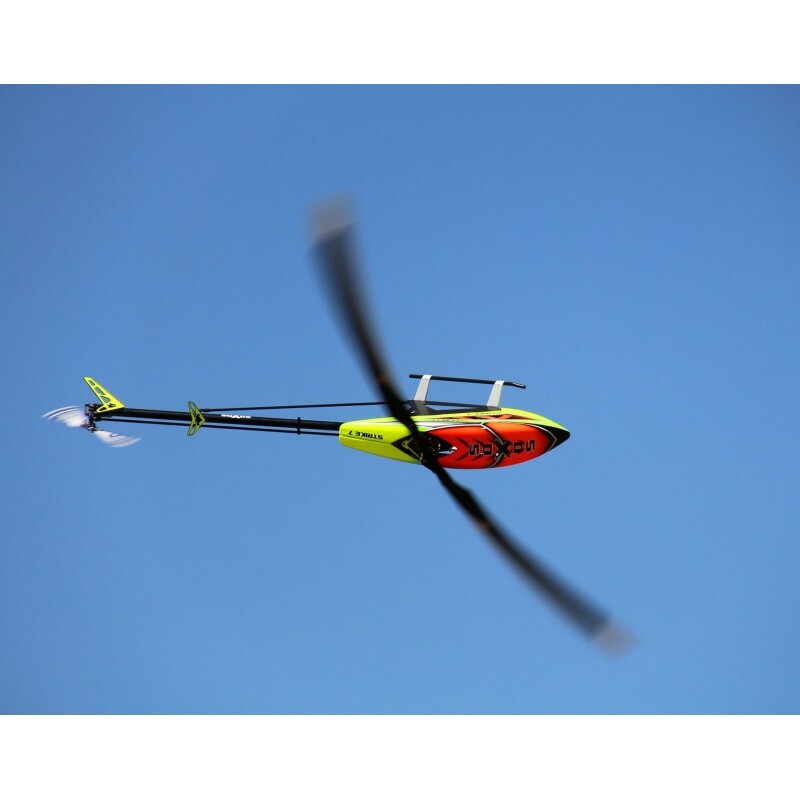 This allows you to fly the helicopter very precisely for the hardest 3D maneuvers and it stays where you want it. 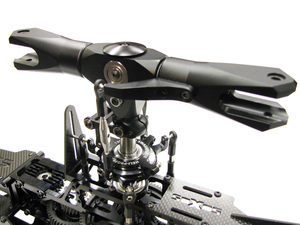 Because of the light mechanics you can also have a lot of fun with the Strike7 for low RPM flights. 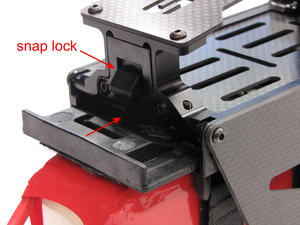 For optimum visibility of the soXos Strike7 in every orientation, a large canopy with clearly visible colors is used. 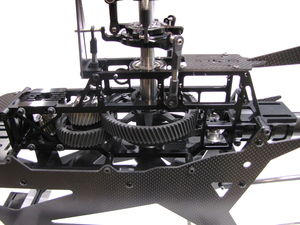 - Made of a one-piece milled aluminum main frame for minimal weight and maximum stiffness. - The intelligent construction allows for simple maintenance and easy replacement of individual components. 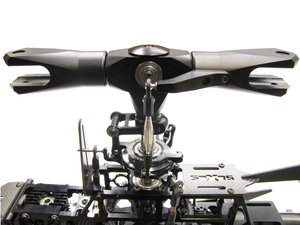 - With the battery quick change system, the batteries can be changed swiftly and easily. 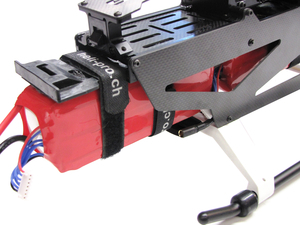 - With the large battery Space, you can use Lipos up to 12S-6500mAh. 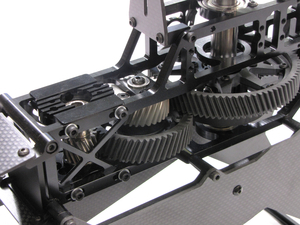 - A Robust full helical drive train made of special composite plastic ensures optimal power transmission. 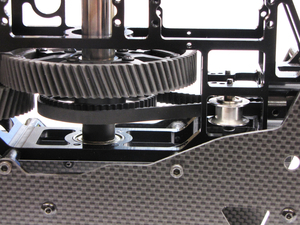 - All Motors can be used from standard 700 class up to 850 class, with 6 mm or 8 mm shaft. 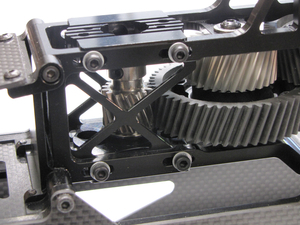 - The Gear ratio goes from 1:7.94 with a 19t Pinion up to 1:10.06 with 15t a Pinion. 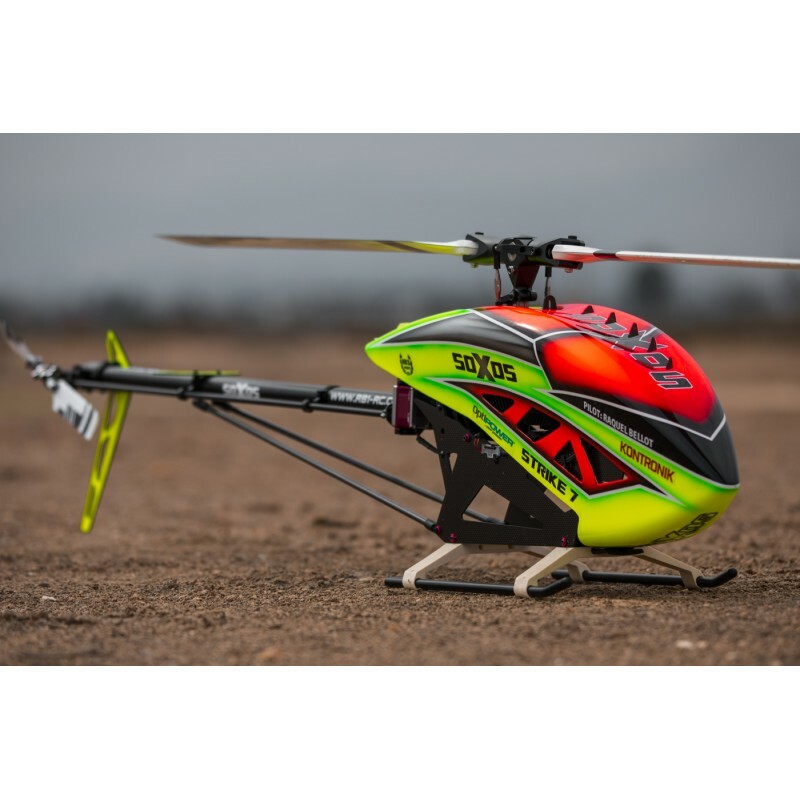 - A strong and short main rotor head for maximum precision during extreme manoeuvres. 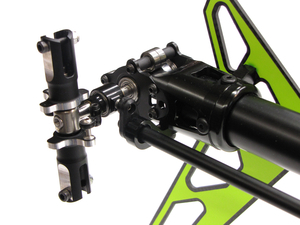 - Specially developed main Head-Dampers for the highest Precision across a range of headpeeds. 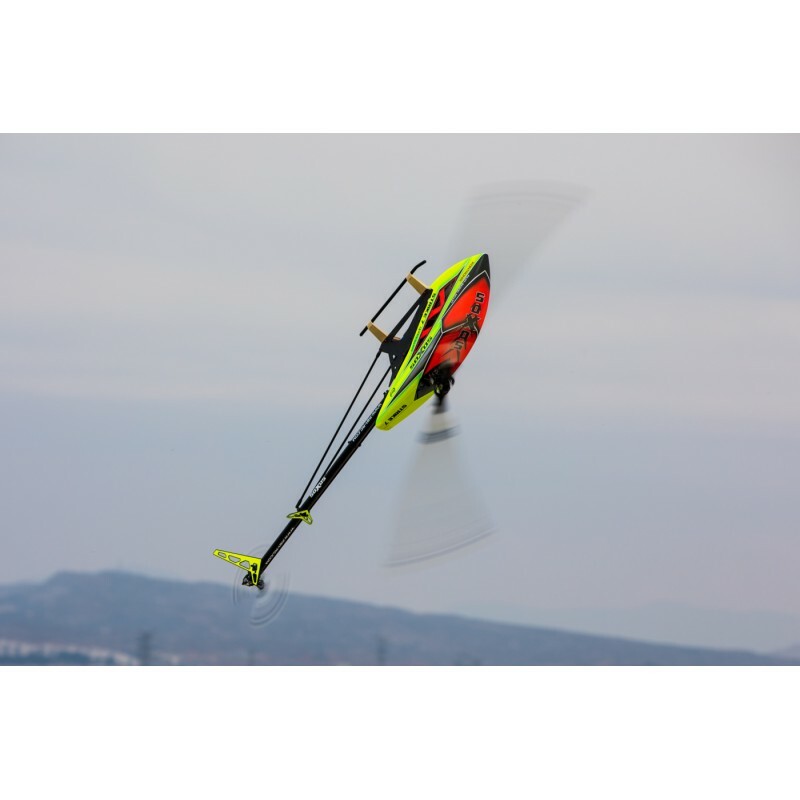 - Damped tail rotor housing, which provides vibration free operation. 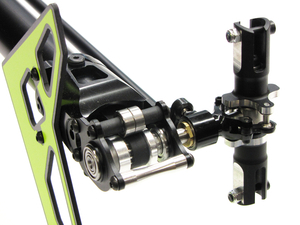 - The simple and effective torque tube transmits the servo’s rotary motion right to the tail pitch slider without play. 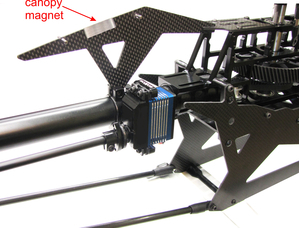 - The Canopy is held by strong magnets making canopy fitment a breeze. 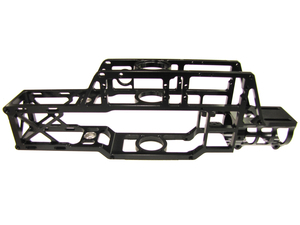 - The high-quality material of the rear drive belt prevents static electricity issues.